This book is why I love reading memoirs – well, great memoirs. If done well, I feel like I’ve just sat down with the author and had a conversation about his or her life. And not a whole life, but a portion of particular significance. Bill Clegg had a successful literary agency in New York City, which he owned with a friend. In too short a time, thanks to a near lethal addiction to drugs and alcohol (chronicled in his first memoir, Portrait of an Addict as a Young Man), Clegg wrecks the business, his bank account, and relationships with clients, colleagues, his life partner and other loved ones. Ninety Days begins with Clegg’s reintegration into “real life” after six weeks in rehab. He returns to New York City, but is determined to avoid the “hot spots”, places and people who aided his addiction. Ninety days is significant in recovery terms, because it marks a milestone in remaining sober. But, from what I know about this process, it just means you have to stay sober on day 91 too. And every day afterwards. And it’s always a fight. At first Clegg dutifully “follows the rules” by attending recovery meetings several times a day, avoiding people and places and situations that are more likely to make him want to use again, and checking in regularly with his sponsor. But, before long, Clegg falls victim to his worst tendencies and internal demons, and is off on a binge, depleting limited cash funds (he’s not working yet), damaging his body, imagining he’s being followed by DEA agents in bouts of extreme paranoia, and testing the already tested patience of the very few people in his life who stuck around after his first dramatic fall. He lucks into a quantity of money that will keep him up-to-date with his landlord for several months, then practically blows through it in one impulsive night. If you’re like me, you’ll be angry and frustrated with Clegg, because he’s testing the reader’s patience too. But that’s also a testament to his writing acumen, because you like this guy, and you like the folks who are still trying to keep him focused on moving forward. For all of Clegg’s exasperating missteps on the road to recovery, there is catharsis, and I found myself moved to tears several times in the final third of the book. And that’s, surprisingly, always a welcome thing. I, too, loved this book, Ned Andrew. 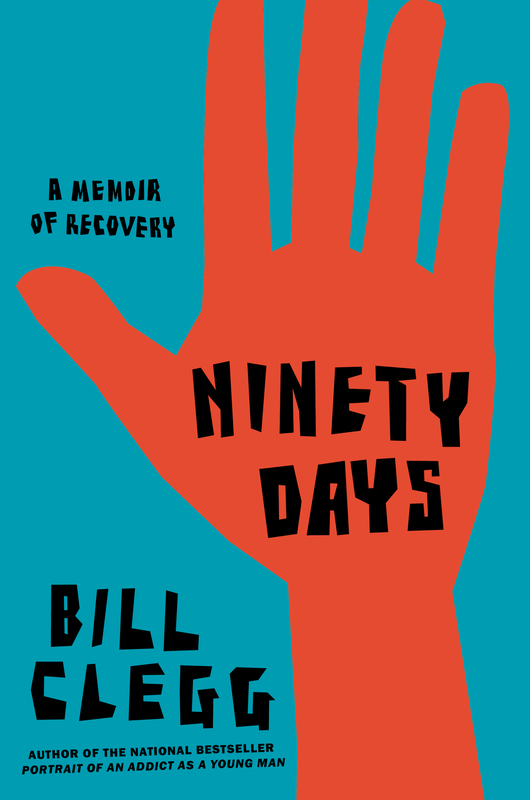 I found Bill’s story compelling — as you know, I finished it in a single evening. While I wanted to throttle him from time to time, he is a likable guy and I hope he’s able to stay sober. Life’s too sweet to be walking around paranoid that DEA agents are following you and fantasizing about suicide. Thanks for introducing me to this memoir. I’ll be watching for other suggestions. I thought you would like this one, so I’m glad. Story, memoir aspect aside, you have a keen appreciation for great prose!